*SINGLE CRUISE CABINS ARE LIMITED AND SUBJECT TO AVAILABILITY. A $200 DISCOUNT IS AVAILABLE TO SINGLE PASSENGERS WHO ARE WILLING TO SHARE A CRUISE CABIN. ** Greek Holiday - DUE TO A GREEK HOLIDAY, MYCENAE WILL BE EXCLUDED FROM THE TOURING ITINERARY FOR THIS MARCH DEPARTURE AND BE REPLACED WITH THE NEW ACROPOLIS MUSEUM. THE SIGHTSEEING SCHEDULE WILL ALSO BE SLIGHTLY ADJUSTED TO ACCOMMODATE THE HOLIDAY SITE CLOSURES. ****ABRAHAM’S TENT WILL BE CLOSED FOR TOUR DEPARTING October 8th - This departure will have an alternate dining experience. Price Includes: Land Portion - first class (4 Star) lodging, breakfast and dinner daily, modern transportation, sightseeing as listed. Cruise Portion - Inside cabin (category D), 3 port tours (Patmos, Ephesus, & Crete), non-alcoholic beverage package, all meals. Not Included: Land Portion - travel/cancellation insurance, Israel gratuities will be paid in advance ($98 per person will be added to your final invoice for gratuities to be paid to driver, guide, and hotel staff while in Israel). Airport transfers are included only when airfare is purchased from Pilgrim Tours. Taxi service is available for those purchasing their airfare elsewhere. Today we embark on our Journey to the lands of ancient treasures and Christian history with an overnight flight to Israel. Prepare yourself for a life-changing experience. 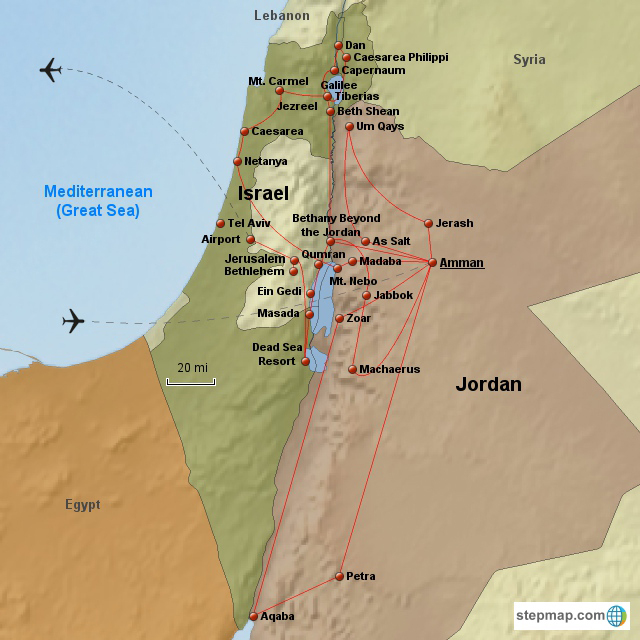 Get some rest on the flight…Tomorrow you will be walking where the apostles walked! Arrive in Israel and travel northward to our hotel for one night in the coastal area near Tel Aviv. The remainder of the day is free to walk along the Mediterranean, relax, and have dinner. The time is right for a personal devotional with the sunset over the “Great Sea.” Meet your Israeli guide, enjoy a time of prayer of thanks for safety and the special blessings ahead, a prayer for the people of the "Promised Land," and a good night’s rest. After breakfast, we travel by private motor coach along the coast of the Mediterranean Sea to Caesarea, where Gentiles first heard the Good News from Peter and were baptized. We’ll see the Roman Amphitheatre and aqueduct, and then journey on to Mt. Carmel, where Elijah challenged King Ahab and the prophets of Baal. Next we travel through the Jezreel Valley to Megiddo, the Armageddon Battlefield, where archaeologists have unearthed 20 levels of civilization. We drive through the area of Cana and Nazareth, the boyhood home of Jesus, where we visit the Nazareth Village - a wonderful recreation of Biblical times with costumed guides. We will have dinner and overnight lodging for the next two nights in the Tiberias area on the Sea of Galilee. Following breakfast, our morning travels take us to two valuable northern sites. Dan is where the children of Israel fell to the depths of alternative sacrifice and Caesarea Philippi, the site of Peter’s Confession and pagan worship. 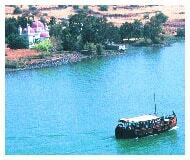 We pass the possible site of the multiplication of loaves and fishes in Bethsaida and the Mount of the Beatitudes. Returning to Tiberias for a St. Peter’s Fish Lunch (other selections available), we then visit the ancient Fisherman Boat followed by a relaxing cruise on the Sea of Galilee. A brief scripture reading and devotional on board brings to life the experiences of Jesus and the fishermen disciples. In Capernaum we view the excavations of the sea-side village and Peter’s home, followed by a visit to Magdala, home town of Mary Magdalene. The recent excavation of the First Century Synagogue and well preserved village makes Magdala one of the most interesting Biblical sites in Israel. 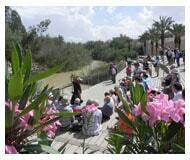 We begin our day with the opportunity to be baptized at the Jordan River Baptismal site. Next we travel southward to Beit-Shean/Scythopolis, the most magnificent archeological site in Israel, located at the strategic juncture of the Jezreel and Jordan valleys. Like Jericho, it has been almost continuously occupied throughout history. After defeating Saul and his sons on Mt. Gilboa, the Philistines hanged their bodies on the walls of Beit-Shean. During the time of Jesus, Scythopolis was one of the chief cities of the Decapolis - a league of ten cities sharing Greek culture and government. Following the fertile Jordan Valley southward, your guide will point out the agricultural restoration of the “Land of Milk and Honey” and Israel’s intricate irrigation development. We pass ancient Jericho and view from a distance this city famed as the oldest in the world. To the east of Jericho along the Jordan River Valley (Queser El Yehud) is the Israeli side of Bethany Beyond the Jordan. In this area Jesus was baptized by John the Baptist, Elijah and Elisha crossed the Jordan, as well as where the children of Israel, led by Joshua, entered the Promised Land. Our lodging for the evening is at the Dead Sea – the lowest place on earth. Spend time in the special spa and enjoy a dip in the Dead Sea for a relaxing float before dinner. 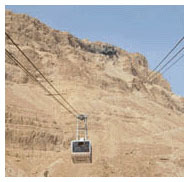 Our day begins with a cable car ride to the mountain top fortress of Masada. Here our guide will treat us to the history of the famous zealot stand. Afterwards we proceed to Ein Gedi, "Spring of the Goat," an oasis on the western shore of the Dead Sea. Because of its warm climate and abundant supply of water, the site developed a reputation for its fragrant plants and date palm groves. This is where King David hid from Saul, and where God defeated the enemies of the Israelites by praise and worship led by King Jehoshaphat. Next, we visit Qumran Caves where the Dead Sea Scrolls were discovered. This afternoon we will take part in the Genesis Land/Dinner in Abraham's Tent, where we enjoy a trip back in time: a reliving of life in the time of the Patriarchs, complete with costume, dramatic presentation, and authentic food. Our lodging for the next four nights will be in Jerusalem. Conditions permitting we will visit the Temple Mount, with commentary on the Temple Periods, and the variety of belief systems past and present that make this area so valuable. Next we will visit the Wailing Wall and then the fascinating Rabbinical Tunnels leading us through the Second Temple era. The tunnel and exhibit give a clear understanding of the amazing construction of the Temple Mount, giant stones, water supply and Roman street where our Lord was led to judgment. Before exiting the tunnel we see the immense cornerstone rejected by the builders. We move on to the Judgment Hall of Pilate, hear of those who conspired against Him and are reminded of His brutal beating and humiliation. 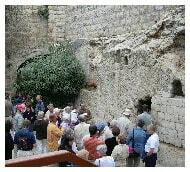 From here we will also be able to see the Pool of Bethesda, Stephen's Gate and St. Ann’s Church. This afternoon we visit the Southern Wall Excavations. This southern side of The Temple was the main entrance for the common folk, whereas the Priests and Levites had their own entrance from the higher eastern side. Parts of the giant stairs, which led to the Temple Mount from the courtyard have been unearthed along with the purification pools. From here Jesus entered the Temple Mount and drove out the vendors and money exchangers who were exploiting the people. It is also likely that this is the place that Peter stood and preached and where thousands were saved and baptized on the Day of Pentecost. We spend the remainder of the day surrounding the birth of Christ with a visit to Bethlehem. Today we walk where Jesus walked; beginning the day with a panoramic view of the city, Mount Moriah and the Dome of the Rock from atop the Mount of Olives and then the Garden of Gethsemane. How many have wished to be whisked back in time to get a glimpse of our Lord or hear His voice if only for a moment? 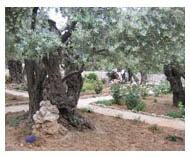 To walk between the ancient olive trees, read the scriptures of Jesus' prayer and take time for personal reflection is important here. Passing by the Protestant Cemetery, we visit the "Upper Room" just outside the Zion Gate where the disciple whom Jesus loved laid his head on His breast and where later Thomas cried, "my Lord & my God." While walking along the Via Dolorosa, we are reminded of His way of suffering along with a visit to the Church of the Holy Sepulcher. Our guide will explain the differing opinions on the route that Christ was led and the actual place of crucifixion and burial is a very interesting study. The climax of the day is the area of Golgotha (place of the skull) and the Garden Tomb, where we celebrate the resurrection with communion and a time of praise. An interesting and educational time awaits us today at the Israeli Museum. Walk through collections of century’s old Israeli artifacts including the Dead Sea Scrolls, and then a guided walk through an accurately detailed model of Biblical Jerusalem. This model will help put into perspective all that you have seen over the previous days touring. Next we visit the House of Caiaphas where Jesus was beaten and spit upon. See a pit where he may have been held for the evening and the ancient hillside steps he walked as he was taken to be condemned. We conclude the day with a visit to Yad Vashem, the Holocaust Museum, for a needed reminder of what the Jews have suffered as a people. This evening we enjoy a special lecture by a local believer prior to dinner, giving us a perspective of Messianic life in Israel. We fly to Athens and check into our hotel. You will have the remainder of the day free to relax or take a stroll along the streets of Athens to enjoy the flavor of the city. This evening our group will enjoy the first of many delectable European style dinners. We sail this morning from Athens to the quaint isle of Mykonos, called the island of windmills. Experience the waterfront lined with shops and cafes and then stroll the charming walkways through a maze of whitewashed buildings before returning to the ship for dinner and evening entertainment. Docking in Turkey, enjoy a tour of Ephesus, the city of the Bible and one of the largest restorations still in progress with miles of ancient treasures. Ephesus was once a thriving port town of 250,000 people. Today you can still see the spectacular excavations of the major streets in this ancient city. We'll view the Library, Agora, Temple of Artemis and the Basilica of St. John. This afternoon we visit the Isle of Patmos, under statutory protection as a historic monument. Here we have a tour to see the fortified monastery of St. John and the cave claimed to be where John received the Revelation. Back on the ship, enjoy the Captain's dinner before settling in to your cabin for the night. Crete is the largest and the most rugged of the Greek islands. Take a tour to Heraklion and the fantastic ruins of the Palace of Knossos. Discovered in 1899 and partially reconstructed, the elaborate Palace is believed to be the mythical Labyrinth of King Minos and the seat of ancient Minoan culture. This afternoon visit the island of Santorini which is perhaps the most breathtaking of all the Greek Islands. You may choose to take an optional panoramic bus tour viewing some of the most spectacular scenery of the Aegean. 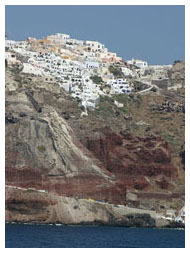 Travel through countless villages and settlements with delicate architecture and beauties eventually arriving in Oia. During your time in Oia, visit the many narrow streets, open-air cafes and glittering boutiques. Upon returning to the ship, we view the lace-like caldera, the little islands of Thirasia, Palea, & Nea Kameni. We arrive at the ship for dinner and evening entertainment. We disembark the cruise this morning and travel west with a rest stop and photos at the Corinth Canal. We then travel to the ancient city of Corinth, another treat for the New Testament scholar. Corinth is the city that inspired many of Paul's most familiar letters. See the Archaeological Museum, the Market Place, the Bema, and the Temples. To enjoy a devotional in the midst of the ruins of the church of Corinth and see the pillars, steps, and public worship place where Paul preached will enhance your understanding and love of I & II Corinthians. The ruins of this important cultural center are fascinating as we walk along the stone path that the Apostle Paul walked. The engineering skill and intellect of these people are evident in the water systems that still flow from ancient to modern day. Our guide will be sure to show you the room dedicated to the medical care of that period. After the visit to ancient Corinth we travel to Mycenae where the remains of the ancient city date back to the Bronze Age to see the famous Lionesse Gate, the Tomb of Agamennon in the shape of a Beehive, and many other sites before we return east to Athens for check in at our hotel followed by dinner. Following breakfast this morning we tour Athens, the foundation of democracy. We visit the Acropolis, the Parthenon, and Erectheum before viewing Athens atop Mars Hill where Paul stood and preached the truth to the Gentile nation. 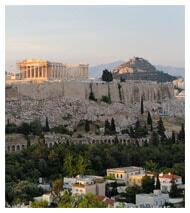 From atop Mars Hill we view the Agora below, the ancient market place and center of Athenian public life. Additional sites viewed during our panoramic bus tour are, the House of Parliament, the Tomb of the Unknown Soldier, Olympic Stadium, and Presidential Palace. 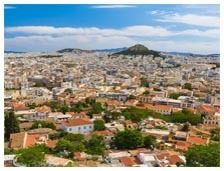 An option later this afternoon is a visit to the famous Plaka with a multitude of shops and cafes. A very early morning departure for the Athens Airport for our flight homeward will allow for arrival home by early afternoon. 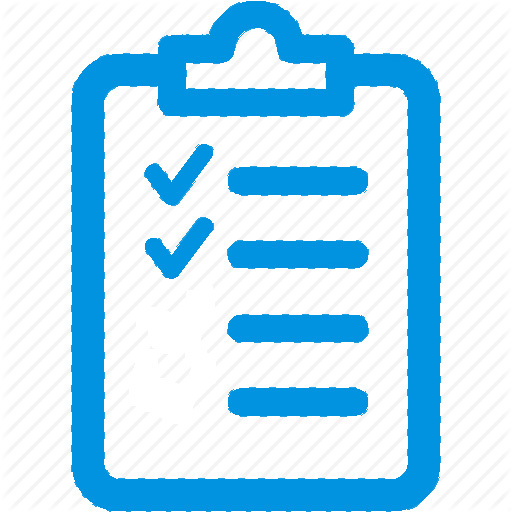 Important Note: Although the itinerary above obviously emphasizes the spiritual aspect of this marvelous country, our guides are also experts in and passionate about the miracle of the return of the Jews and the restoration of the state of Israel. This fact, along with many modern day topics (military, politics, education, and other cultural aspects), will be woven into the commentary in order to give you well rounded information. VISIT PETRA - Ask Your Agent to add a 2-Day Jordan Pre-tour of Amman, Petra, Mt. Nebo & crossing the Jordan River into the Promised Land.